Modern workplaces rely heavily on teamwork, communication and digital technology. 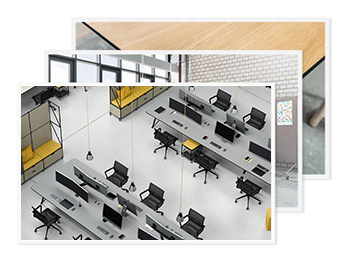 We have developed the K table system as a flexible customisable programme for large-scale table configurations that need to fulfil such needs. The striking cross-latticed construction can be sized as required in terms of length, depth and height. A wide selection of surface finishes and the customisable technology management fittings offers countless design possibilities to suit your every requirement. 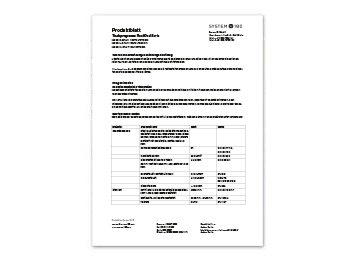 Whether you need a table for discussions with customers or staff, for consultations or for presentations, or even for a shared meal with the team, the K table system provides the right format for every occasion. Even the entry-level models offer space for up to 8 people. 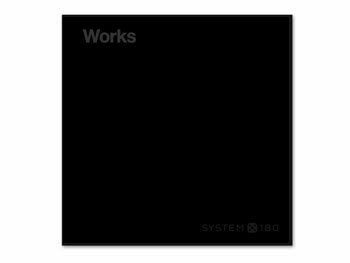 If that is not enough, then you can extend it using System 180’s modular system, theoretically without limit. 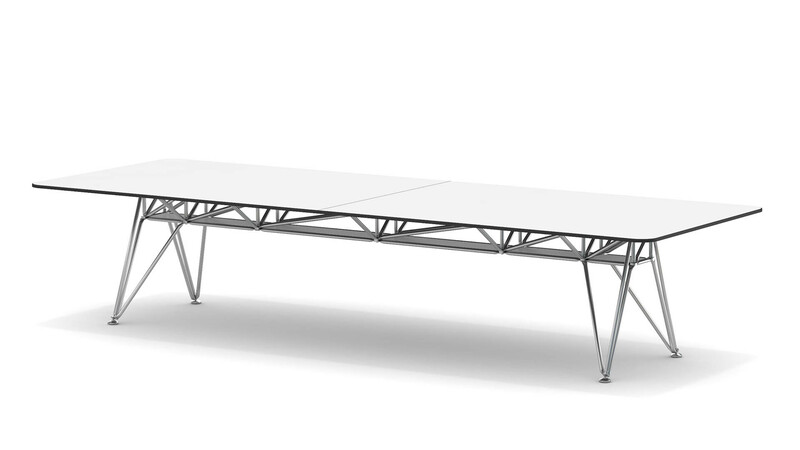 If you are using the table temporarily and do not need to use it with larger technical devices, a table depth of 100 to 120 cm should be enough. The optional device management fitting can be integrated into the table wherever you need it. 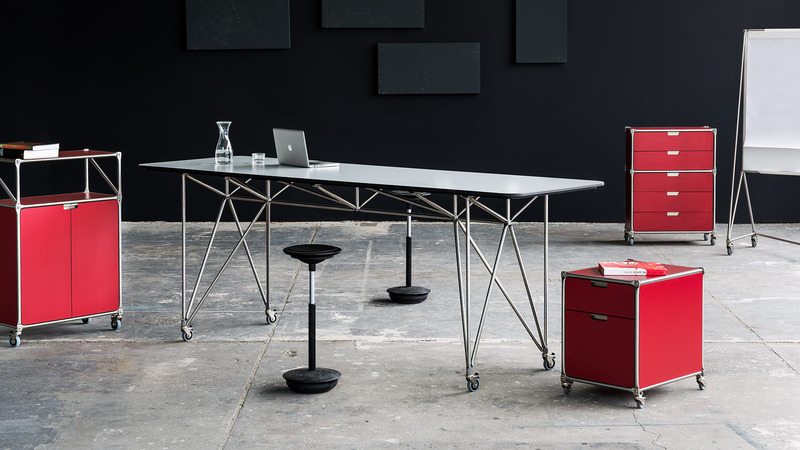 The endlessly reconfigurable workbenches in the K table system with integrated device boxes and a practical storage compartment make a clear statement about the importance of teamwork. The workbenches are designed to provide the home base for a project team or working group. 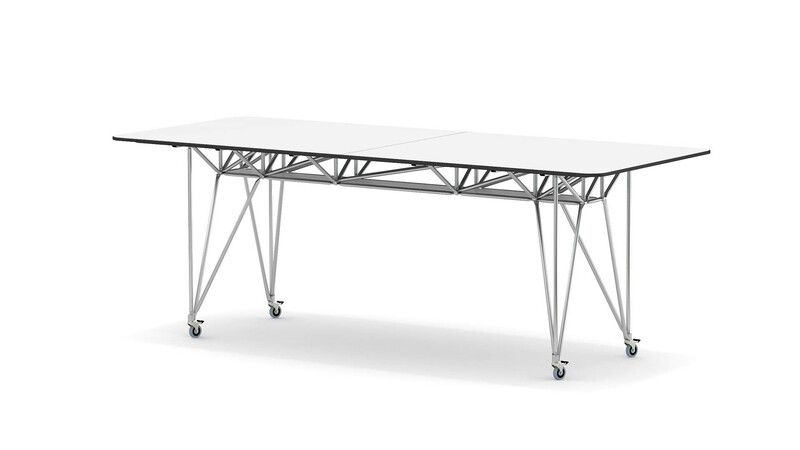 With a depth of 160 cm, the workbenches in the K table system provide the space required to place workstations opposite each other. Depending on individual workers’ spatial needs, the benches can be extended practically endlessly in approx. 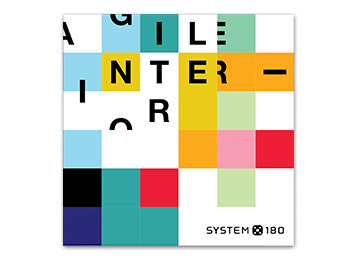 140, 160 or 180-centimetre increments. 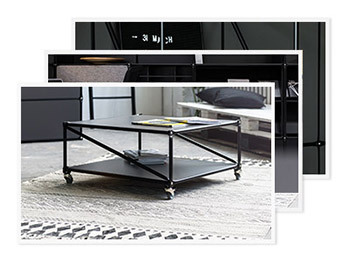 If required, you can also set up end-of-table work surfaces. The K table system provides plenty of space for active stand-up meetings in the shape of a high desk – for small and large teams alike. 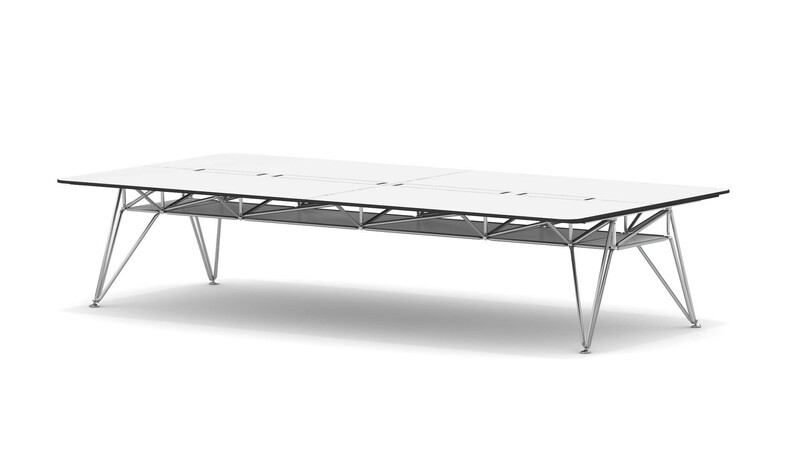 As the table has a depth of up to 140 cm, even large-format table surfaces can be set at standing height. 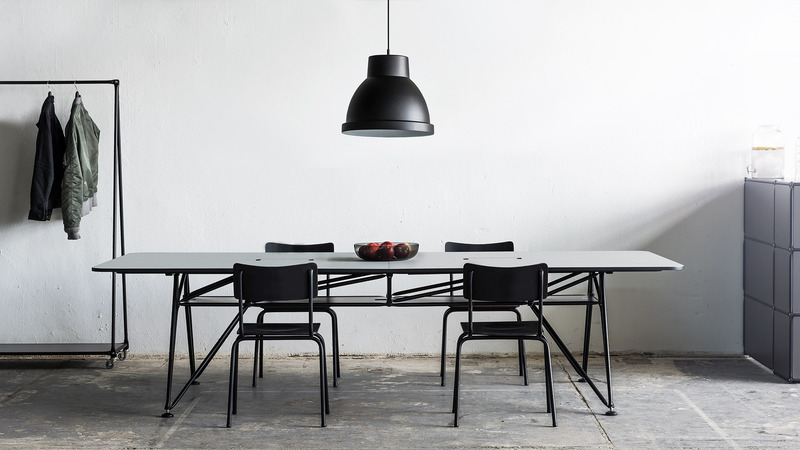 This makes the high desk format in the K table system a unique table design. We can offer a customisable box for technical devices for high desks from a depth of 100 cm upwards.